Your customers want anytime-anywhere access to information and transactions, and cloud-based IVR delivers this capability to your phone channel 24 / 7. When your customers call, they don’t have to adjust their schedule to meet yours. They can check their current balance, pay their bill, check or report utility outages, change a password, locate a store and handle many other routine, but important, transactions on their schedule, and without tying up valuable call center resources. Check out Solutions by Industry for a variety of ways self-service calling can work for you. Contact us today to discuss how we can help you get started. By automating customer interaction, companies can easily allow customers to quickly complete a task such as paying a bill or reaching customer service. Your Inbound IVR is available to customers 24 hours a day, 7 days a week where your company will always be available to your stakeholders to meet their schedules. Inbound IVR makes it easier for your callers to process routine tasks more efficiently, get answers to Frequently Asked Questions, or get a status on their order. Inbound IVR makes it easier to reach the right person or customer service department. MTI’s Inbound IVR applications to offload mundane and repetitive tasks allowing call center agents, staff and dispatch employees to focus on higher value tasks. Our Inbound IVR system proves to be a small investment compared to the benefits our system can bring to your company, employees, and customers. 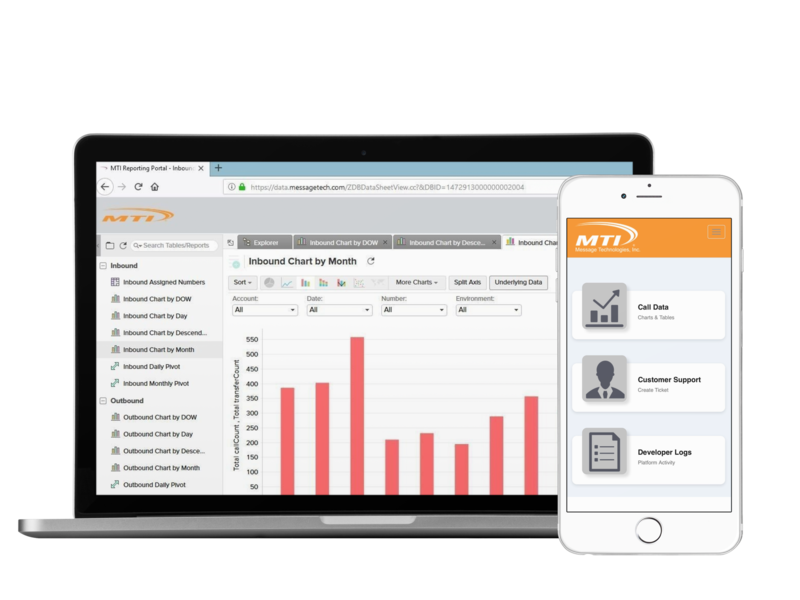 As a cloud-based provider, MTI provides all of the necessary hardware, software, and licenses for the IVR system.